Hardscape and masonry sealers are a great way to protect and maintain the appearance and longevity of your pavers, bricks, concrete, natural stone, and other masonry materials. There are many different types of sealers; knowing the differences will help you choose the proper sealer for your particular situation. Sealers are either penetrating or topical, which refers to how they seal. Sealers are also either solvent- based or water-based, which refers to what they’re made of. Penetrating sealers, also called impregnators, penetrate deep into the surface and keep contaminants from entering the pores of the surface. Penetrating sealers are breathable, which means they allow any moisture in the material to escape. Although some penetrating sealers may have color enhancing capabilities, in general penetrating sealers do not change the look of the surface being sealed, allowing the surface to maintain its natural appearance. Topical sealers do not penetrate the surface, but instead simply coat the surface. Topical sealers change the look of the surface by affecting the angle of light as it reflects from the surface. Topical sealers often offer a low sheen or high gloss characteristic. Often topical sealers will require multiple coats. Solvent-based sealers have traditionally been considered better than water- based sealers. However, advancements in technology have enabled manufacturers to produce water-based sealers that are just as effective as solvent-based sealers, satisfying the need for more environmentally friendly and safer sealers. In general, solvent-based penetrating sealers are better suited for dense stones such as marble and granite because they have smaller molecules than water based penetrating sealers. Water- based penetrating sealers tend to be better suited for more porous materials such as slate, brick, and grouts, because they have larger molecules than solvent-based penetrating sealers. Some commercial regulations require the use of water-based penetrating sealers. Some sealers are hydrophobic, which means they protect pavers from only water. Some sealers are oleophobic, which means they protect against oil and water, which would be appropriate for areas where oils may be present, such as driveways or kitchen counter tops. 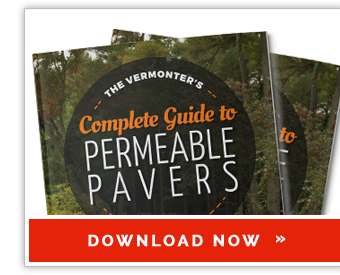 If polymeric sand is used between pavers, a minimum of 30 days must pass before sealing the pavers. However, it is often recommended to wait for an even longer period of time, a year if possible, before sealing brick, concrete pavers, or concrete veneers. This waiting period allows time for the efflorescence to evaporate, which otherwise might get trapped beneath the sealer in a milky white form. It is also recommended that stone or masonry surfaces be cleaned before sealing. After cleaning, the surface should be rinsed with water. Many sealers require that the surface be dry before sealing; however, some manufactures have created innovated sealers which can be applied when the surface is still damp. Belgard’s PaverSeal Plus WB, as well as Gator Alliance’s Wet Cast (without the Color Enhancer), Gator Alliance’s Natural Look (without the Color Enhancer), and Gator Alliance’s whole line of Hybrid Sealers can all be applied while the surface is still damp, saving time between cleaning and sealing surfaces. Sealers do not last forever. Resealing should be part of the regular maintenance for whichever stone or masonry surface was originally sealed. How often to reseal depends on the amount of wear and tear your stone or masonry surface gets. An excellent way to test your stone or masonry surface to see if it needs resealing is to place a few drops of water on the surface. If the water is absorbed slowly or not at all, then it is not necessary to reseal the surface. If the water is absorbed quickly, then it is time to reseal the surface. Sealers can protect your stone or masonry surface from water, stains, ultraviolet rays, and salts. 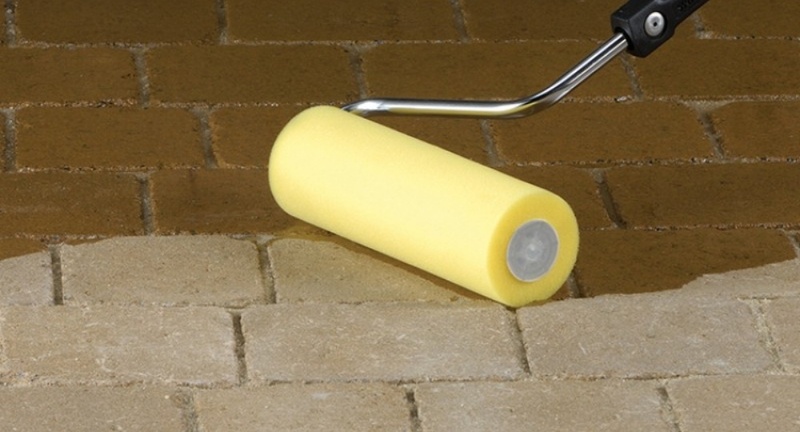 Sealers can keep your patio, walkway, driveway, chimney, or stone veneer looking new. Here at Trowel Trades Supply, we stock a variety of sealers including, Shield MX from Conproco, Paver Seal Plus WB from Belgard, and a whole line of Gator Alliance sealers. Give us a call for a price or to find out which sealer is best for your application.